A short video posted to Facebook on Dec. 22 shows Donald Trump walking into his beloved Mar-a-Lago — the Palm Beach golf resort where he spends so much time instead of, you know, working for the country — as a sea of well-off white women run over to him and quite literally fawn over a man accused of inappropriate acts toward nearly 20 women. This Trump Mar-a-Lago video has us sick to our stomachs. Try not to dry-heave while watching. 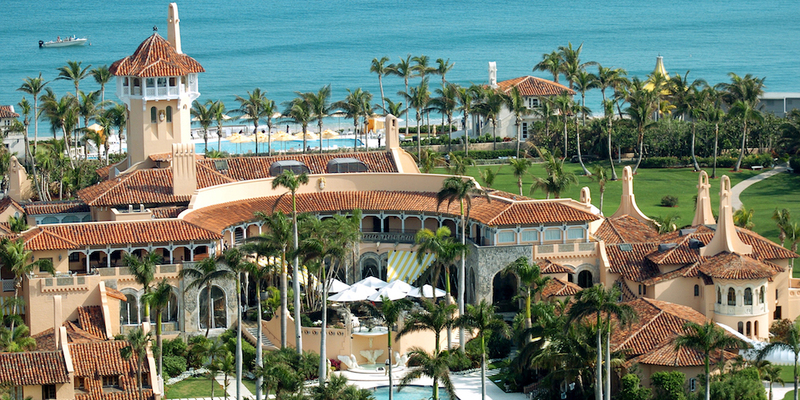 Considered “Donald Trump’s American Castle,” Mar-a-Lago is a nauseating 128-room mansion on 20 acres, built in 1927. Trump purchased it for $5 million in 1985, and a decade later he turned it into a private club. 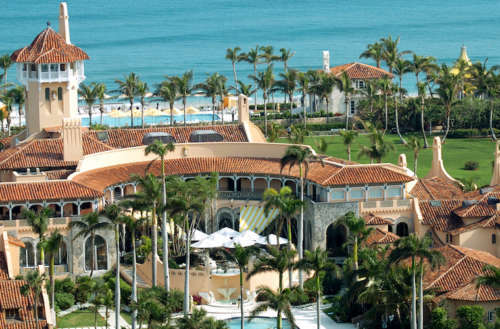 Having dubbed the gaudy AF resort as the “Winter White House,” Trump has made 10 trips to Mar-a-Lago since his election. In the Trump Mar-a-Lago video, which at the time of publishing this story has seen nearly 12,000 shares on Facebook, you spy a ton of women who interrupt their luncheon, put down their forks and slide out their chairs, all in awe of Trump, who just walked in the door. “Hail to the Chief! There he is!” you hear one woman proclaim, presumably the one holding the camera and filming the incident. She also yells “Bravo!” and leads the women in a round of applause for Trump, who sports his signature unbuttoned suit jacket with a way-too-long red tie (presumably with Scotch tape holding it together). Hugs and kisses follow, and while we don’t witness any “grabbing” in this Trump Mar-a-Lago video … well, we wouldn’t put it past him.